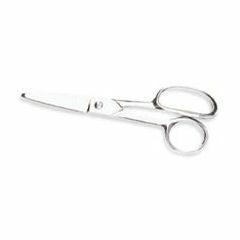 Gingher Heavy Duty Scissors Excellent for cutting warm thermoplastics. Chrome plated. Rounded tips provide extra safety. Blades measure 3in (7.2cm) long.